Theatre Stands With Autism will present a new show this week designed specifically for children on the autism spectrum. “Strung Along” encourages audience members to follow their impulses and interact with cast members. 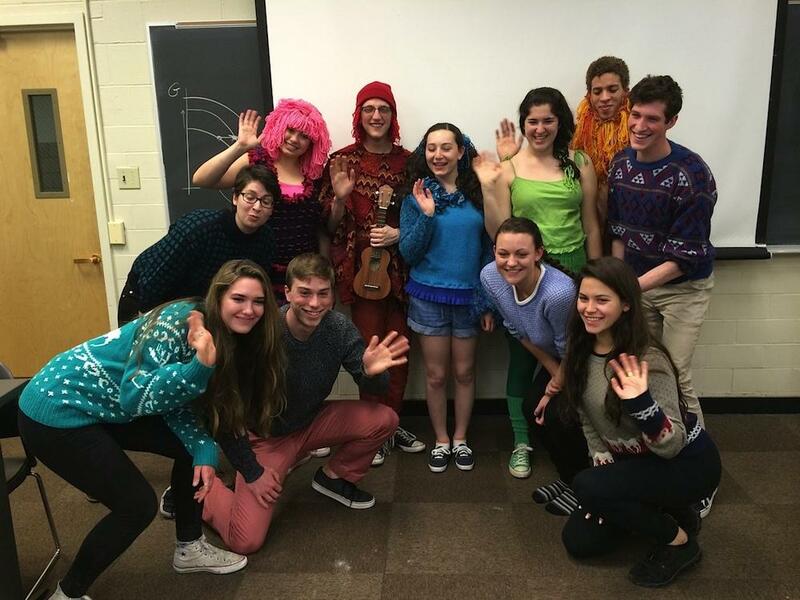 Unlike most theater at NU, TSWA does not perform with a collegiate audience in mind. Rather, the play was especially devised for children on the autism spectrum. Creating a play for kids on the spectrum required those involved to focus on engaging each of the five senses. After playing with different types of string, the cast developed the concept for “Strung Along,” which allows audience members to travel through a hair salon, cave, sea, forest and campfire to discover the different ways string can be interpreted. Along the way, student adventure guides are paired with each audience member and help guide the child through the show, allowing them to touch, see, hear and smell whatever they want. In order to maximize the freedom of the show, audience sizes are kept very small. Mahoney said there will be 10 performances for family and classroom groups, ranging in size from eight kids to 12 kids. Each adventure guide receives information on their audience member to tailor it specifically to that child’s needs. The personalized aspect of the show makes it particularly conducive for audience members on the autism spectrum. It’s OK for kids to be who they are at ‘Strung Along,’” Huntington said. The show is a different experience for the actors as well. Communication freshman Rebecca Elowe plays Susie, a character who lives by the sea but does not speak. Elowe said her character’s nonverbal nature conveys a positive message to audience members who might also be nonverbal. Elowe said the show has been a new experience for her as an actor. “It’s a creative experience, but it’s also an educational experience because it’s art, and it’s theater that’s been created for a specific target audience,” she said. This is the second year TSWA has put on a production, and all but two public shows will be performed exclusively for audience members on the spectrum. The public shows will take place Thursday and Friday in Shanley Pavilion. Huntington said she is looking forward to the shows and emphasized the importance of theater performed with this type of audience in mind.